All I have wanted to do this past week is dive into home life. With new windows being installed, crazy cats demanding my attention, a garden bursting with veggies and Keith always ready to share a cup of coffee this wasn’t too hard. As great as it was to be home (and thanks to Tanya our house sitter who has been fantastic!) it was hot, really hot. My “recovery ride” on Thursday was done in 39 degrees. Keith and I cut it short questioning the ability to recover while riding in an oven. I like temperatures below my core temp thanks. So after some good play time with the cats we headed off to visit Keith’s parents in the mountains. I haven’t seen Keith’s parents in forever and haven’t been to Revelstoke to ride yet this year. 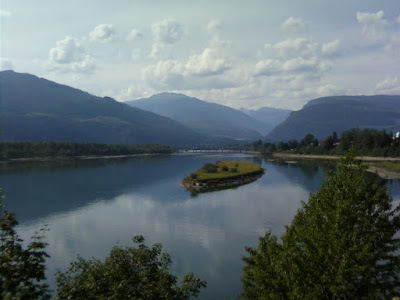 Riding in Revelstoke always helps me feel good on my bike. After feeling completely off in Kamloops dry and loose trail conditions the loamy & rooty forest trails of Revelstoke were a welcome relief. Riding in Revelstoke is like riding an unending pump track. Well ok you do a lot of pedalling too, but the reward for pumping your bike through the trails is high. 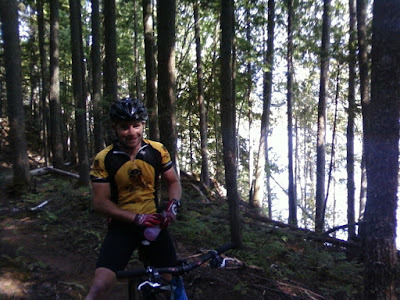 The cycling club has put in some awesome new trails over the last 2 years so we got in some spectacular long rides. Brendan and Bart joined me for my Sunday intervals too, Thanks guys! It made my workout feel just like a fast fun group ride. But I didn’t neglect our overburdened garden either. I brought a big tub of cucumbers with me and Sues and I set to work making Dill pickles and a sweet relish. All and all the weekend helped me recenter and refocus my energy so I would be ready to hit the road again on Wednesday for Australia and the World Championships. I’ll be racing the relay on Sept 2 and the xc on September 5th, (that’ll be sept 1st and 4th back home). From Australia where my brother will be joining the national team as the Volunteer National DH manager I head directly back to Canada for a couple days before hoping on a plane for Switzerland and another World cup just 7 days after worlds! Yikes. The Luna team will travel from Switzerland to Austria for World Cup finals and then head directly to interbike in Las Vegas. It’s going to prove to be a crazy month, with a lot of high intensity racing and travelling, but also high reward.